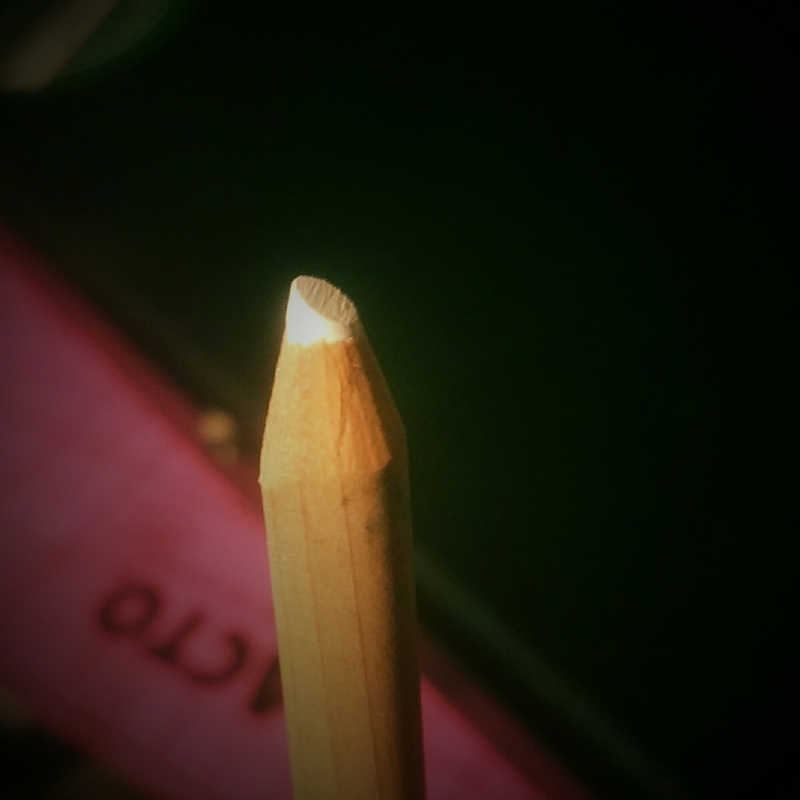 The chisel tip is one of my favorites because it allows me to switch shadings and line work. Sharpen a pencil lie this by holding at an angle and rubbing across a coarse surface such as a sand paper pad. Use the flattened side for shadings and the edge for crisp thin lines. 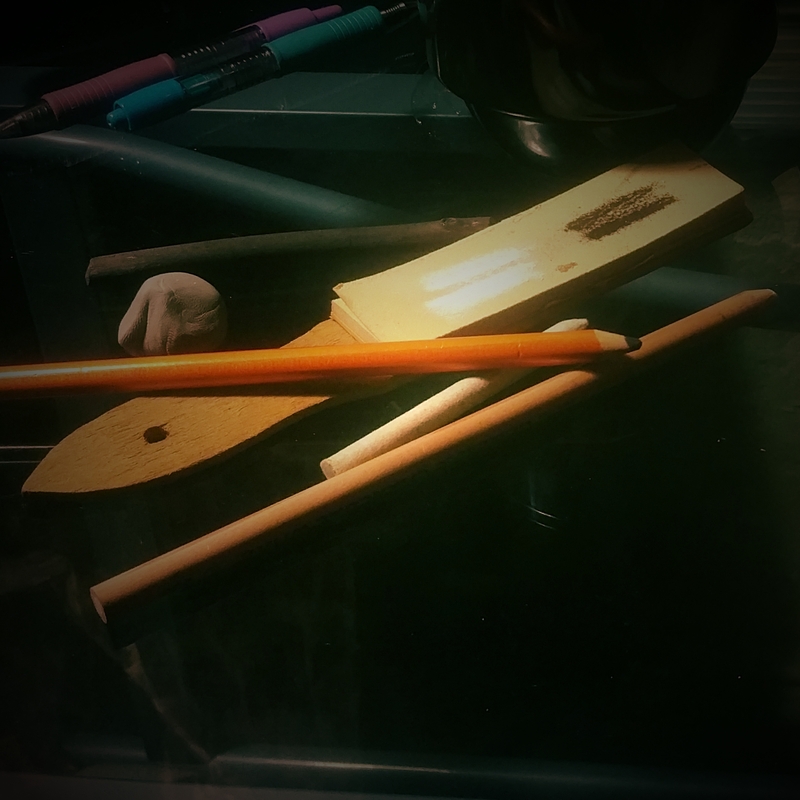 A sharpening pad with charcoal pencils, vine charcoal, and a kneaded gum eraser.